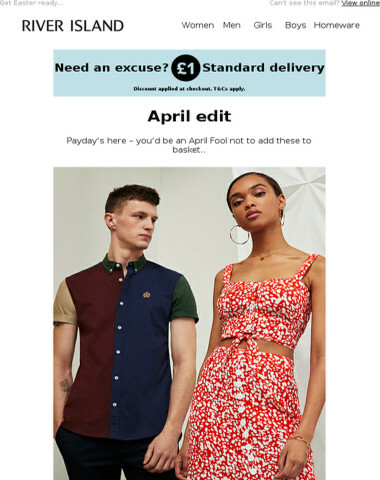 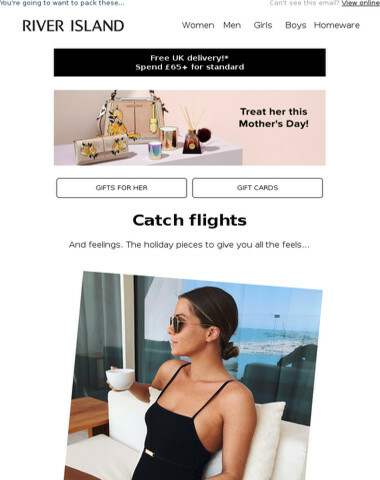 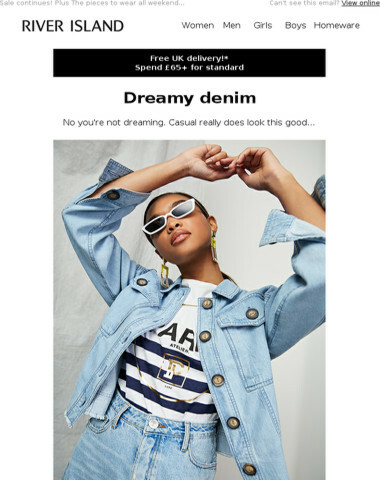 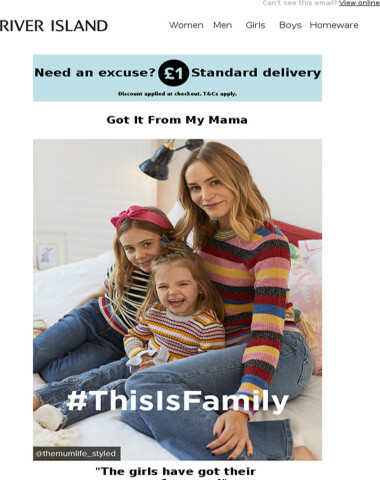 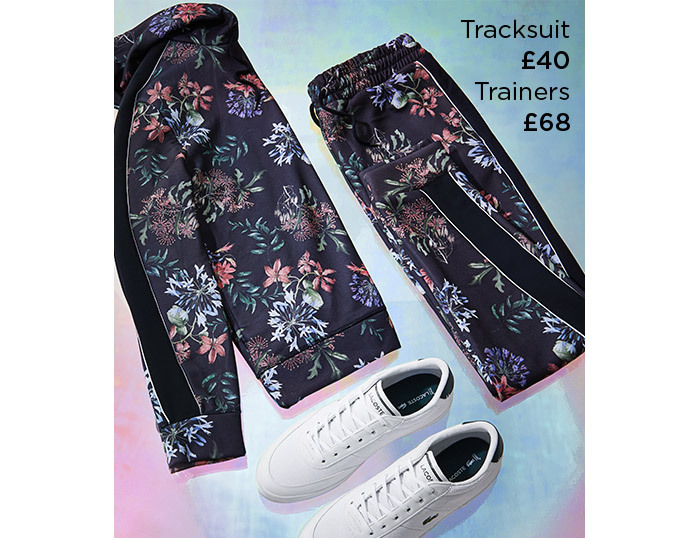 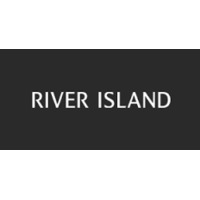 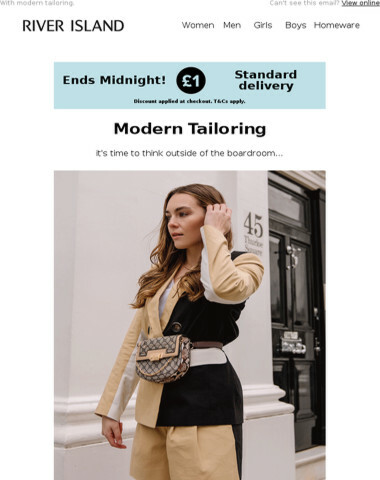 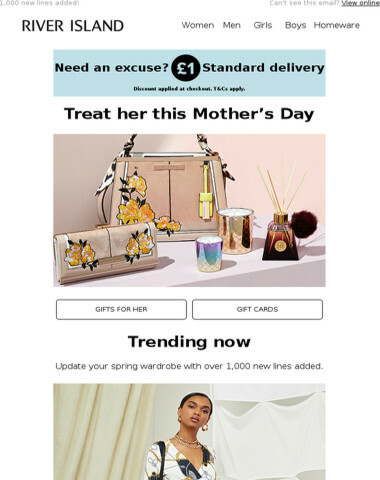 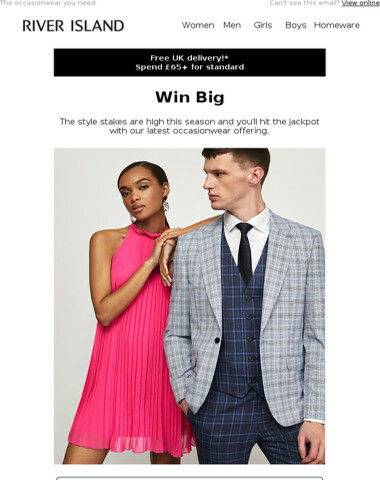 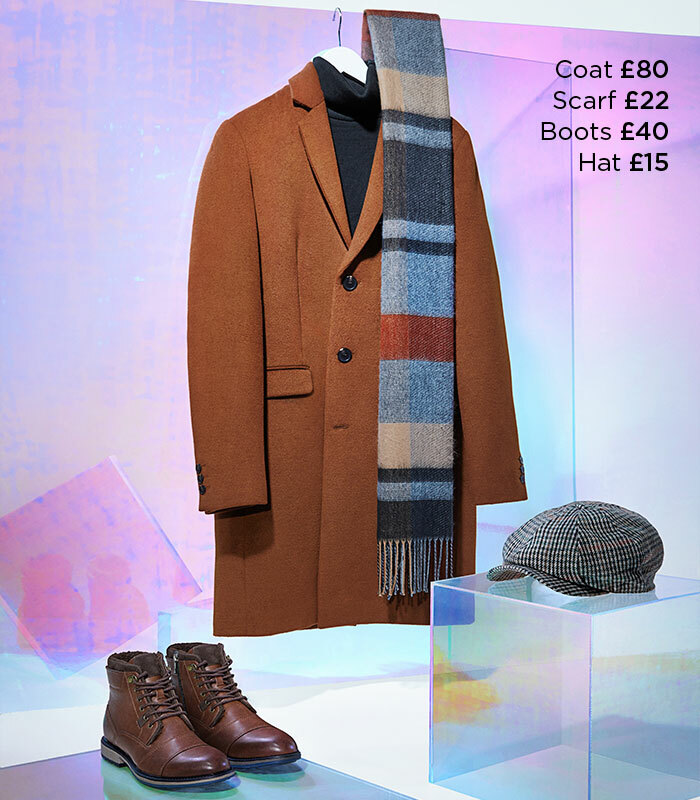 River Island - Get up to 40% off gifts! ? 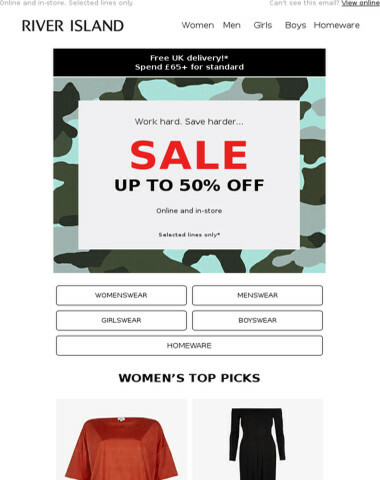 If you wish to unsubscribe or change preferences,please click here. 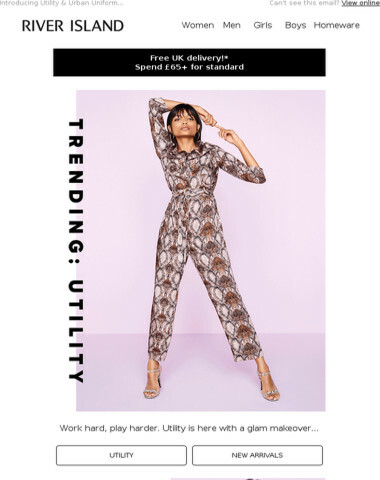 £1 Delivery is here! ? 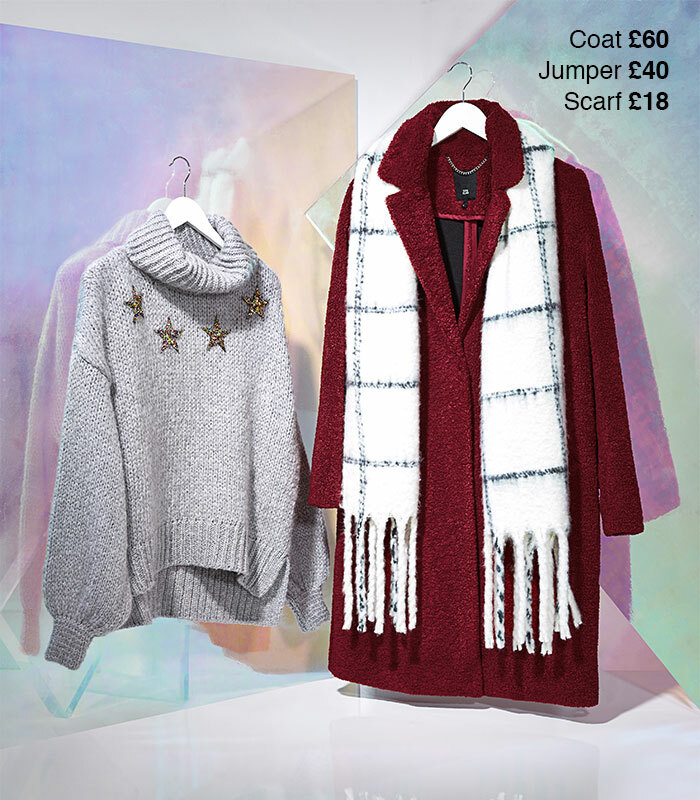 Last chance to bag up to 50% off in-store! 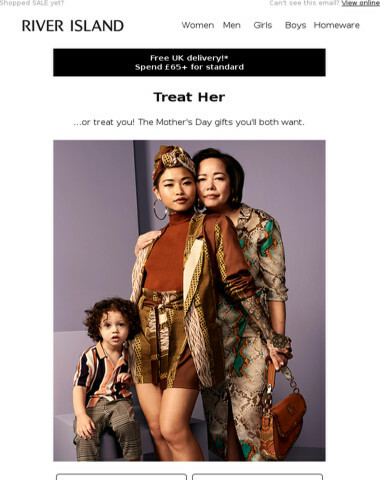 Accessories to treat mum (or you!) ? 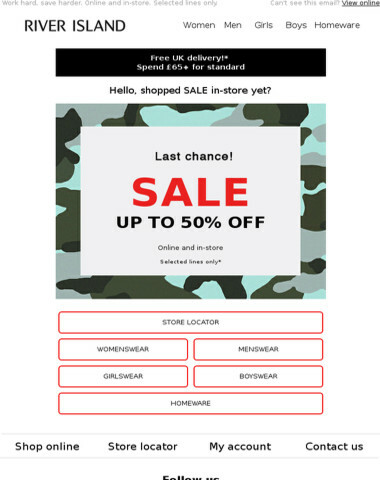 SALE ? 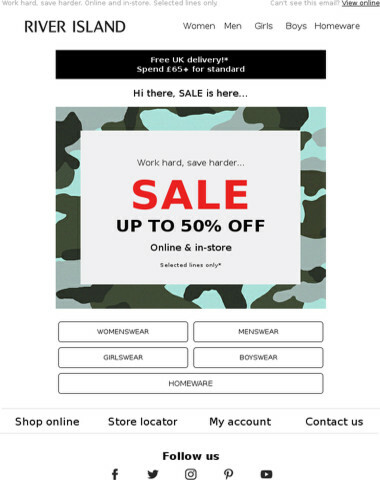 up to 50% off!